Chiara, our third-generation Tuscan ceramist, learned the fine art of handcrafting ceramic ware at her grandfather's side. She hand shapes each ceramic vase of pure white bisque, then applies rich glazes and fires to create their polished surface. 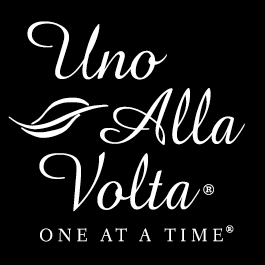 Each ceramic vase is handcrafted exclusively for Uno Alla Volta. Limited edition of 140. 2.5in. diameter x 13in.